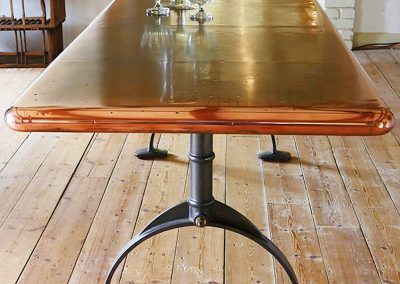 Our ranges of zinc table or copper top dining table have been created through our many years’ experience of restoring antique versions. 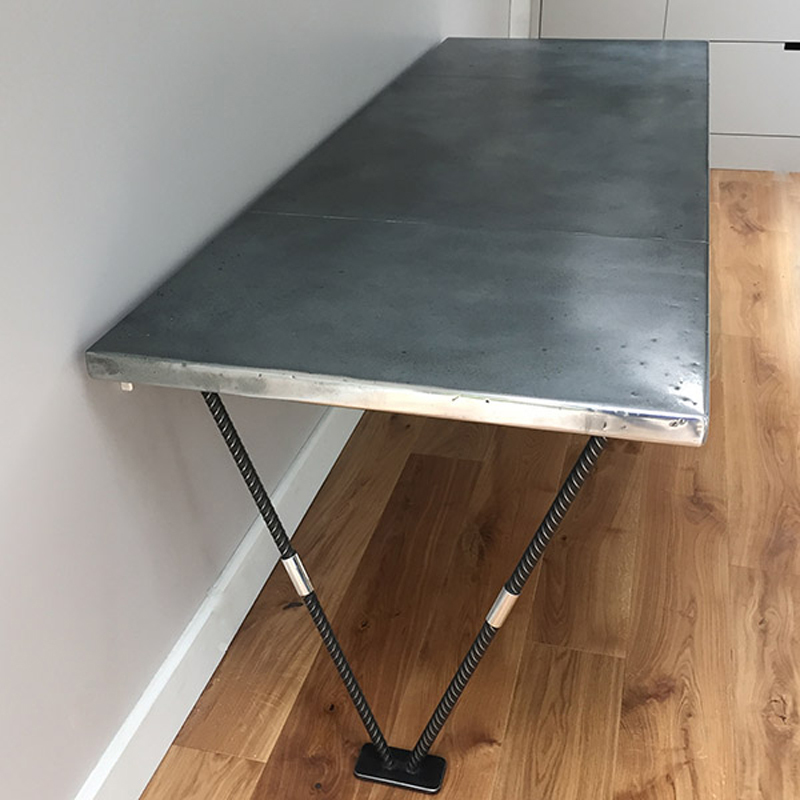 These tables can be purchased from our Ready-to-go collection available in two sizes, or alternative sizes and finishes are available through our Bespoke design service. 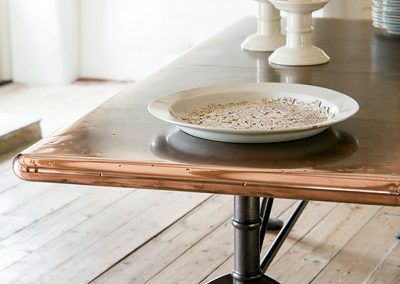 Our copper dining table and zinc top table are individually hand aged, patinated and finished and as a result produces a unique table which is full of character. 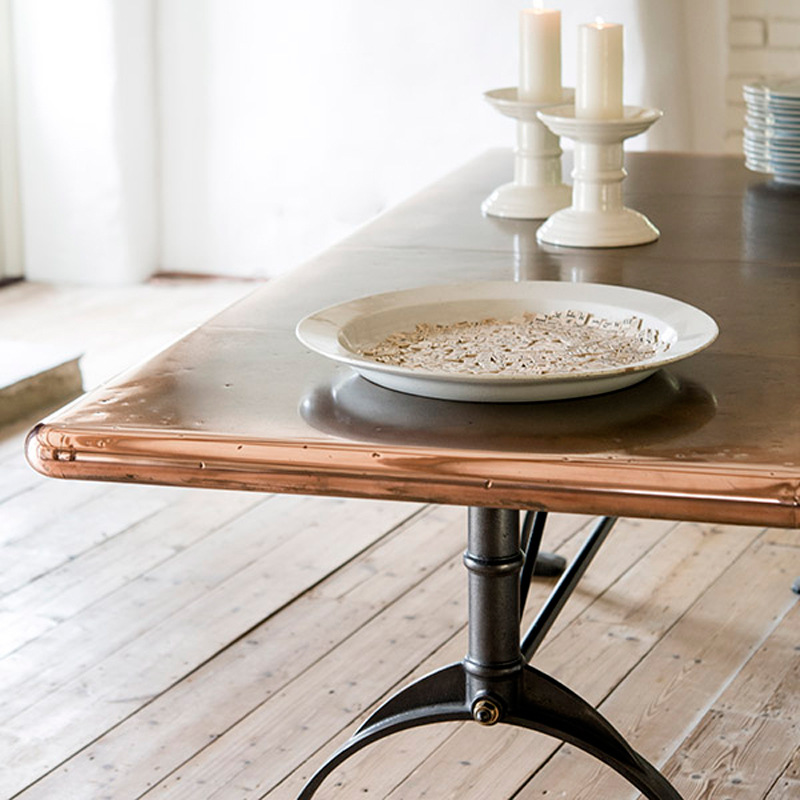 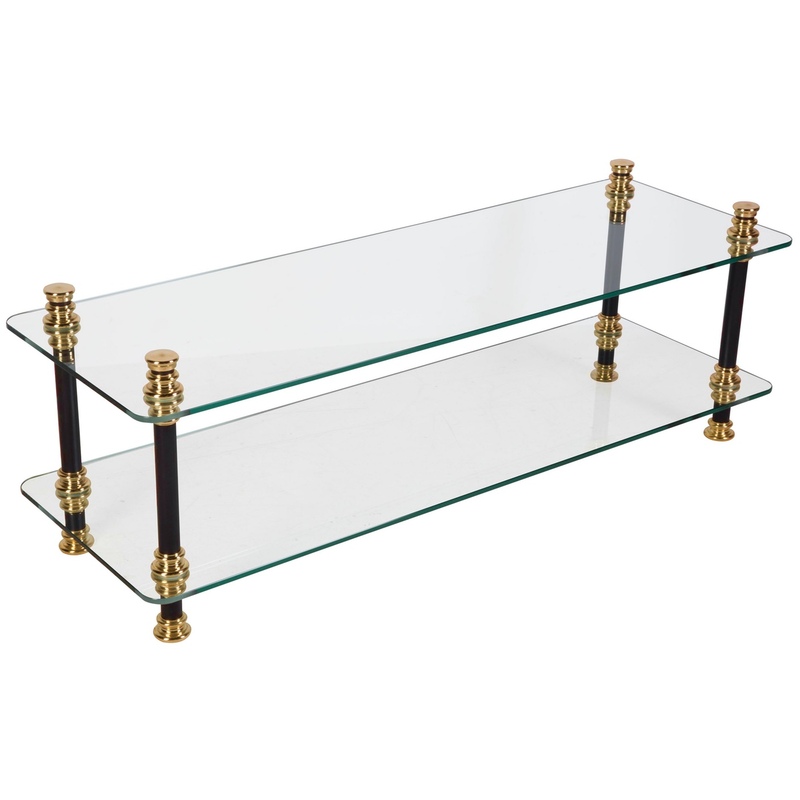 We offer our Ready-to-go dining table in two sizes and as either a zinc top table or copper dining table. 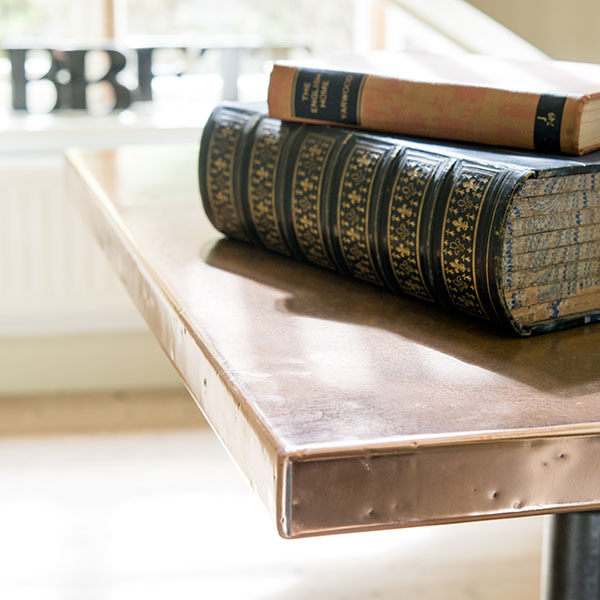 These metal top tables are handmade, coloured, patinated and finished in our English workshops. 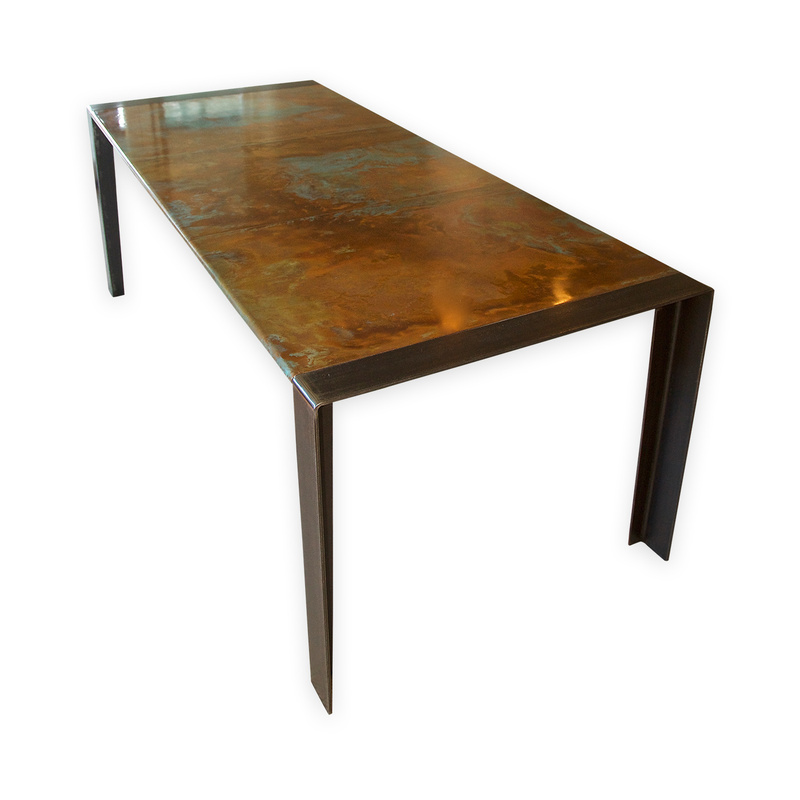 Each luxury dining table is tailor-made to order. 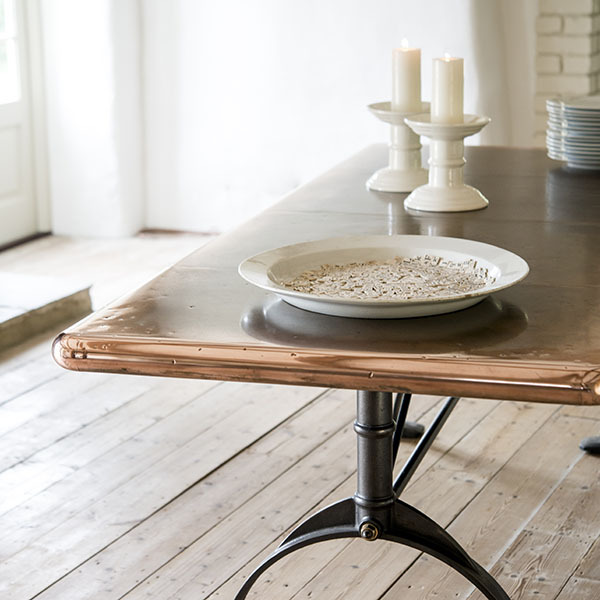 The process by way we produce and handcraft each piece results in a unique table and its appearance will continue to change and evolve over its lifetime. 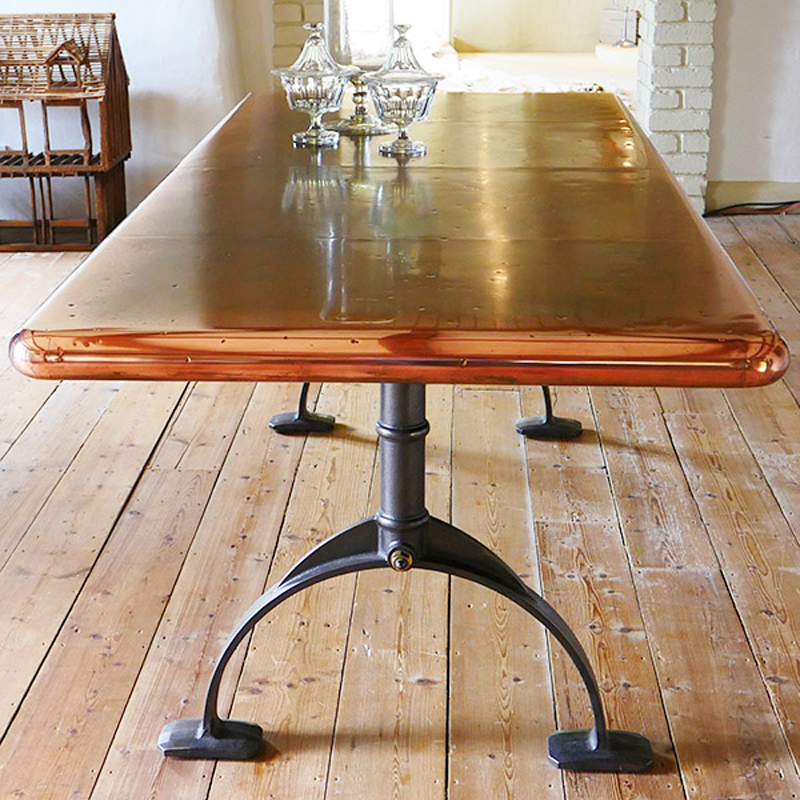 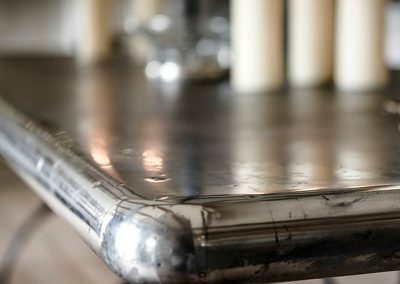 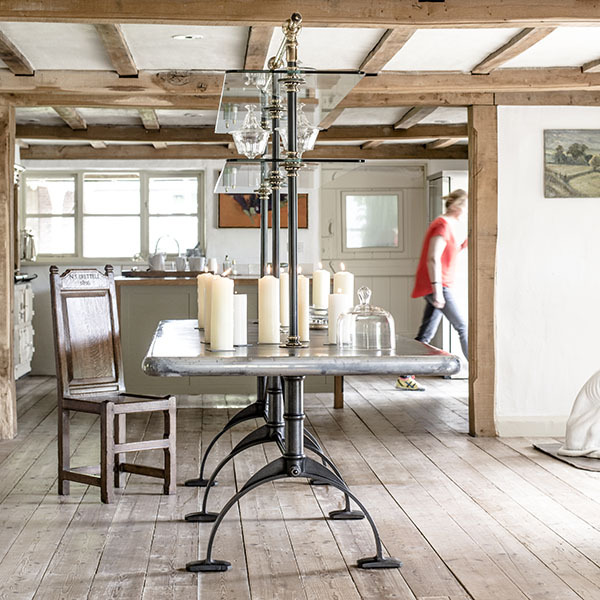 Our many years experience within the antiques trade has given us a plethora of knowledge and skills to not just source, but also in the refurbishment and reproduction of antique dining table, antique kitchen table and vintage dining table styles alike. 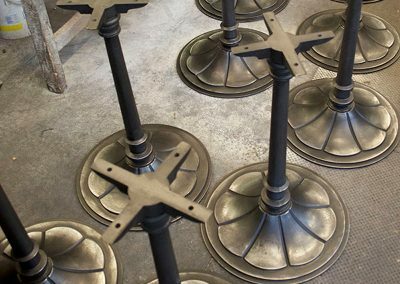 Our team of craftsmen are adept at producing pieces which represent all the periods and styles we can imagine – turning our hand from the classical to the contemporary in a blink of an eye! 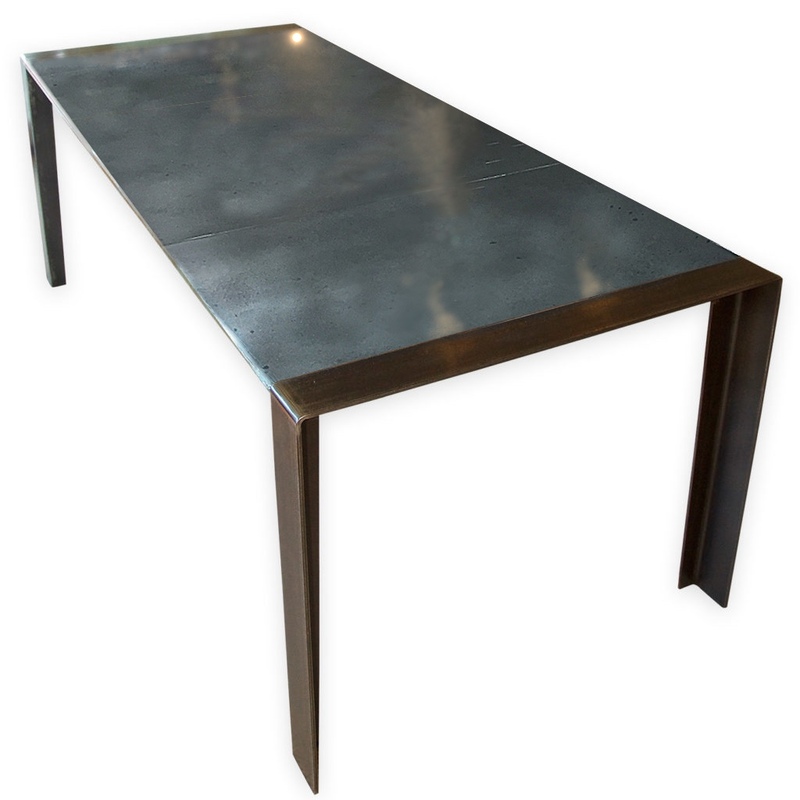 We have been called upon to custom design and produce ‘many a’ contemporary dining table and contemporary kitchen table. 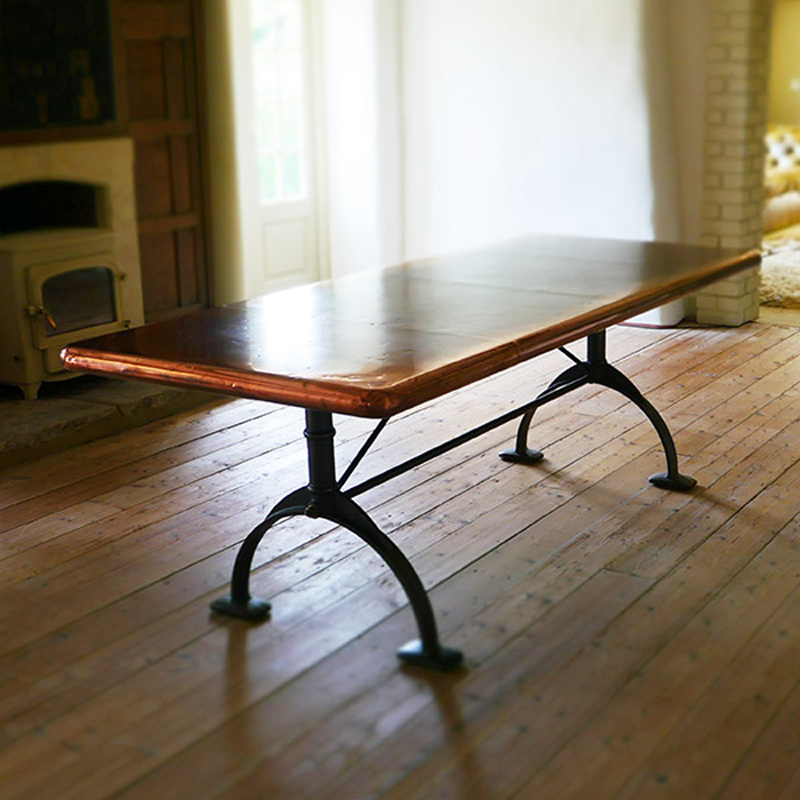 We are fortunate to work regularly with clients who are undertaking refurbishment projects and seek to renew or replace their treasured family farmhouse table, be it a farmhouse kitchen table or farmhouse dining table. 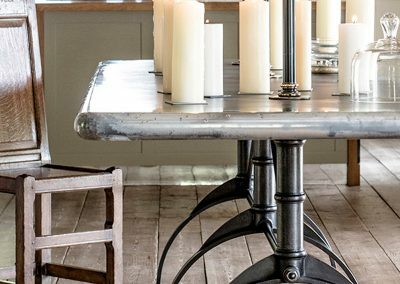 Our designs have sometimes been referred to as ‘…a modern, yet classically elegant version of the traditional farmhouse table…’. 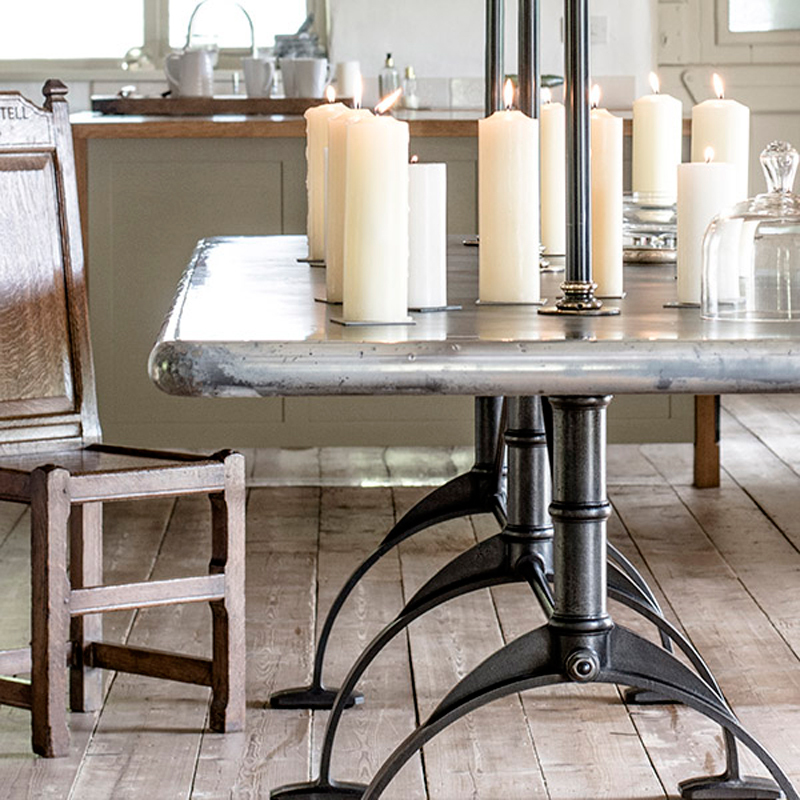 Some kitchens are compact and bijou, others, grand and spacious. 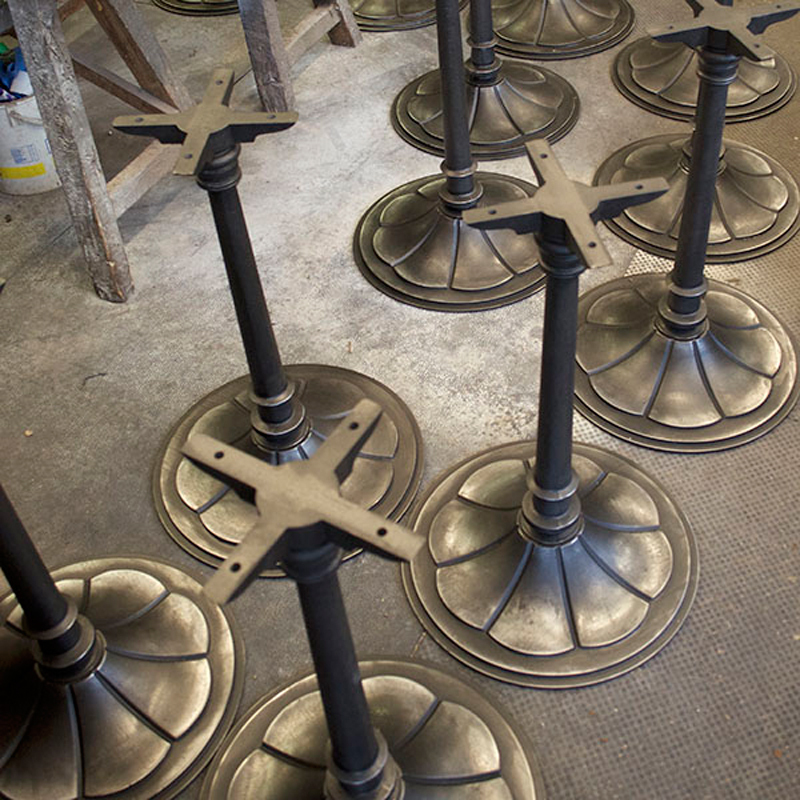 We cater for them all! 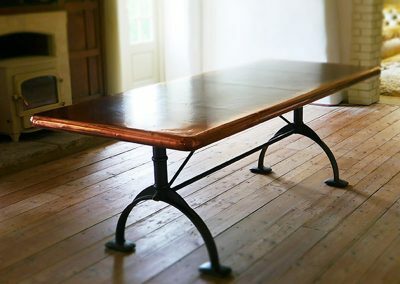 Our custom design service enables the production of the large kitchen dining table all the way through to the unique kitchen table perfect just for two! 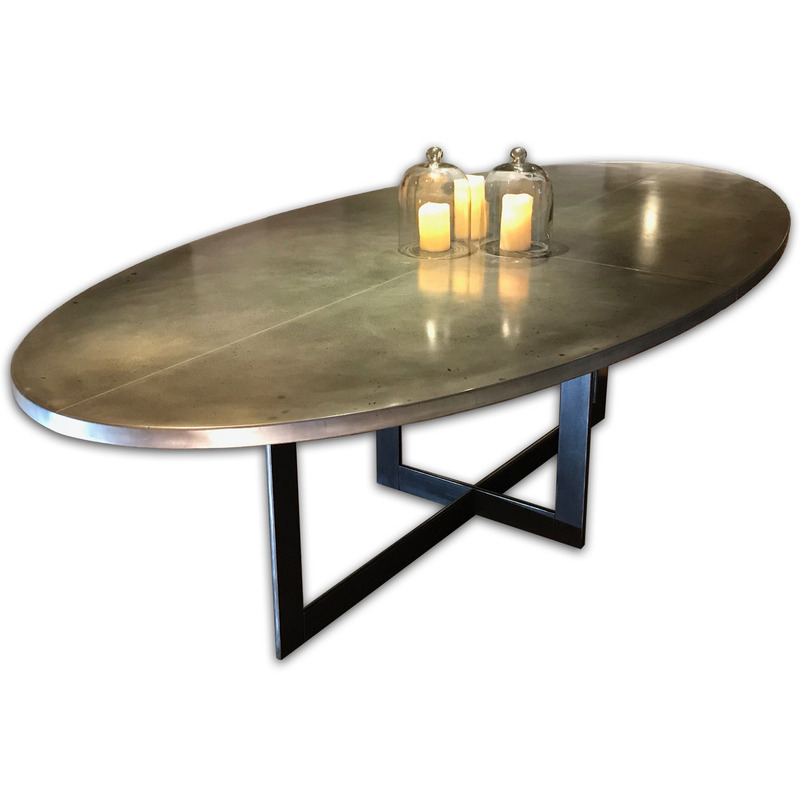 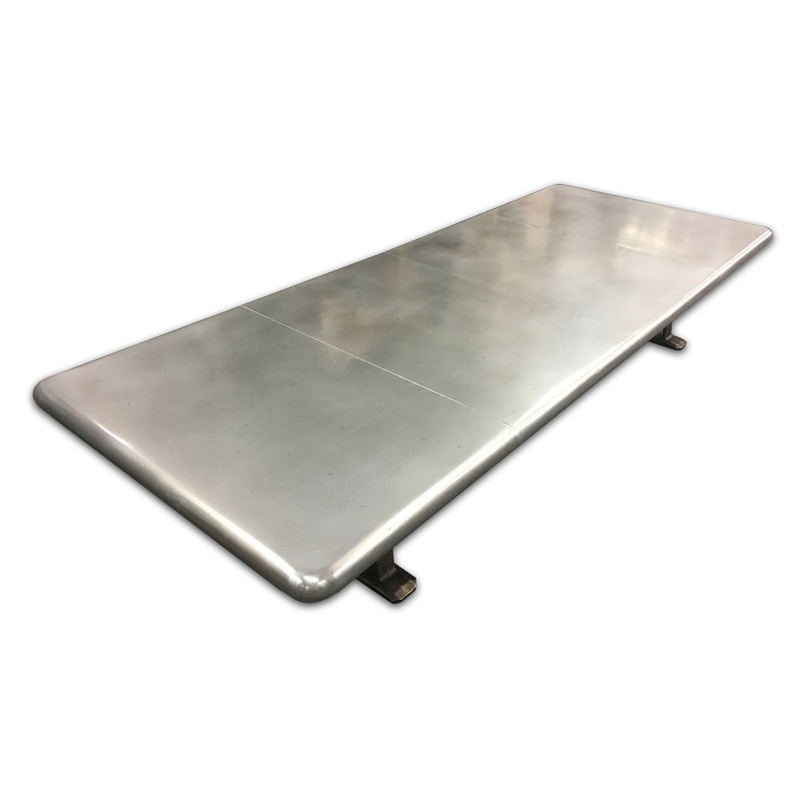 Working with interior designers and owners alike, we produce runs of restaurant table and cafe table from a variety of materials. 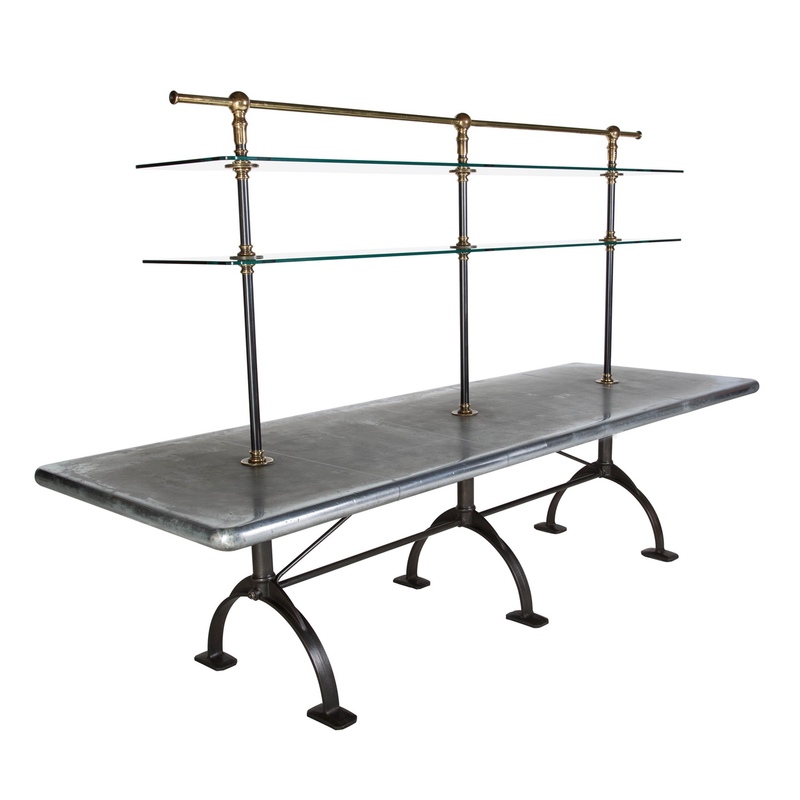 From marble top restaurant dining table design through to toughened glass and brass cafe table design (to name a few). 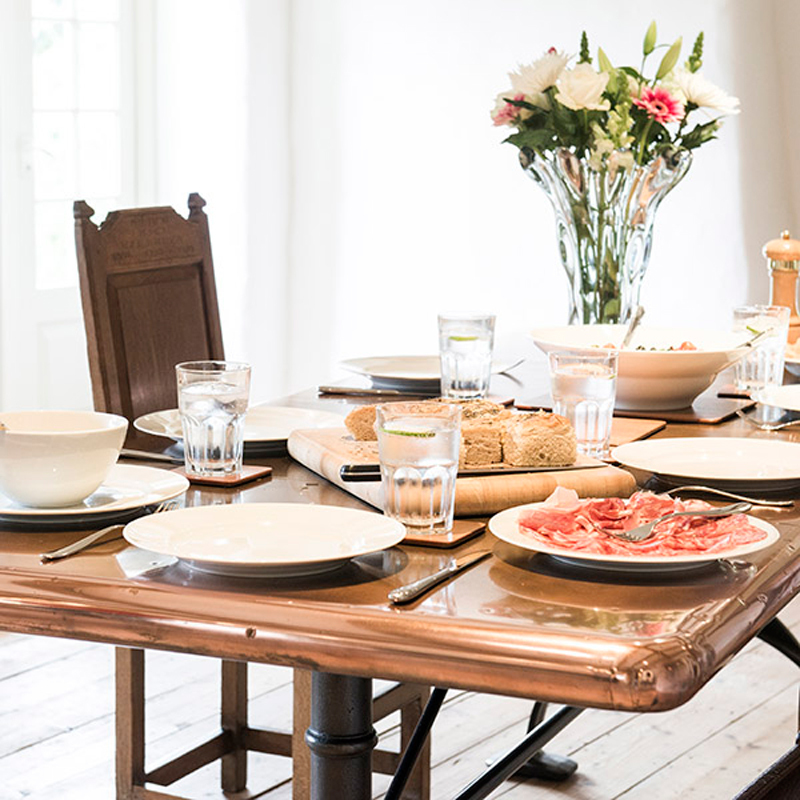 Our standard range of dining table provides a great base from which to adapt and introduce more of one style or another. 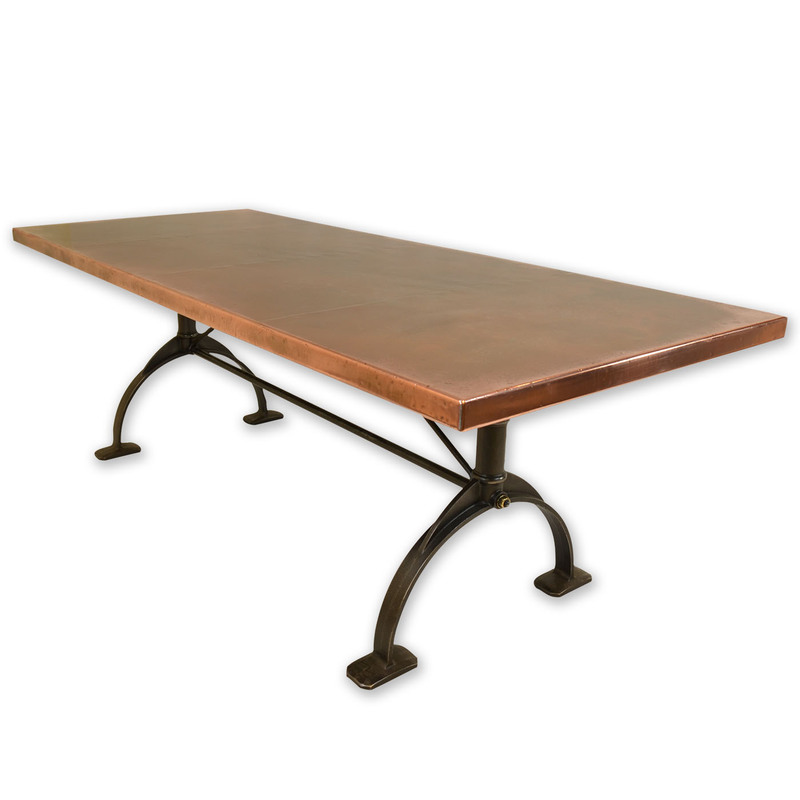 Over the years, we have designed and handcrafted variations of a rustic dining table. 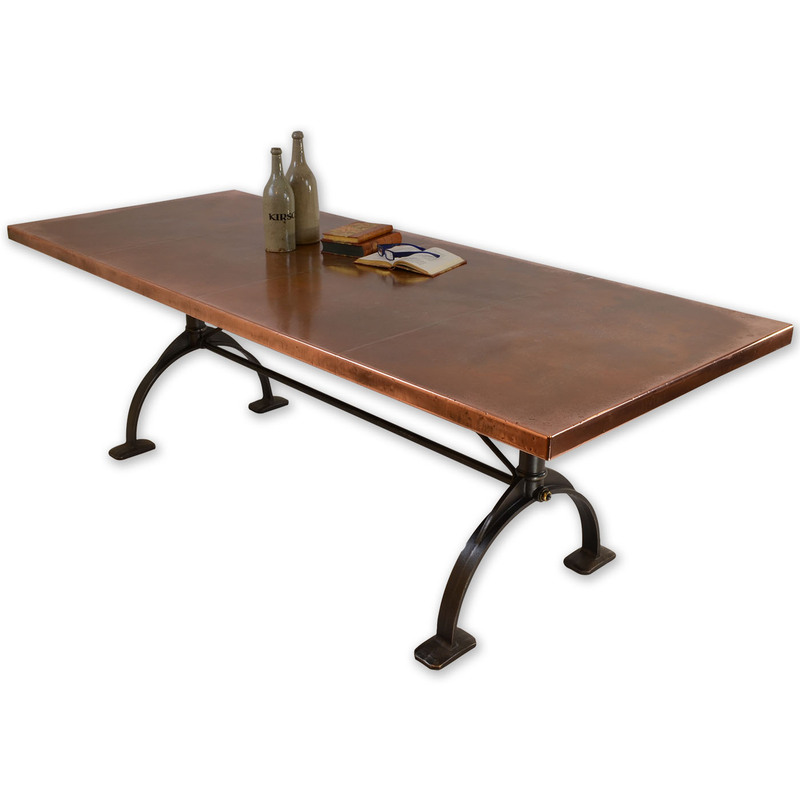 Accentuating the rustic table elements, such as larger riveting detail, heavier dining table legs etc. 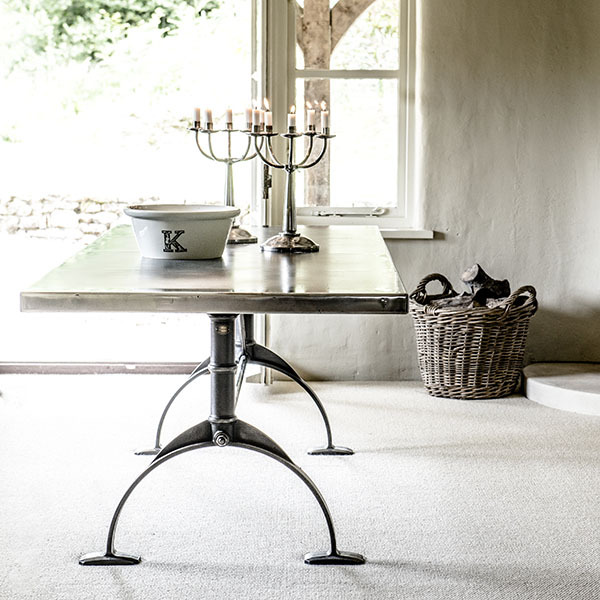 Some times only a bespoke design will do! 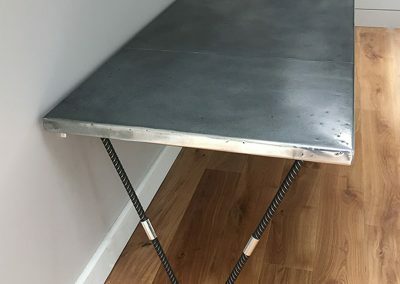 Our custom design service enables your kitchen table or dining table (or even your office desk, coffee table and console table) to be just right! 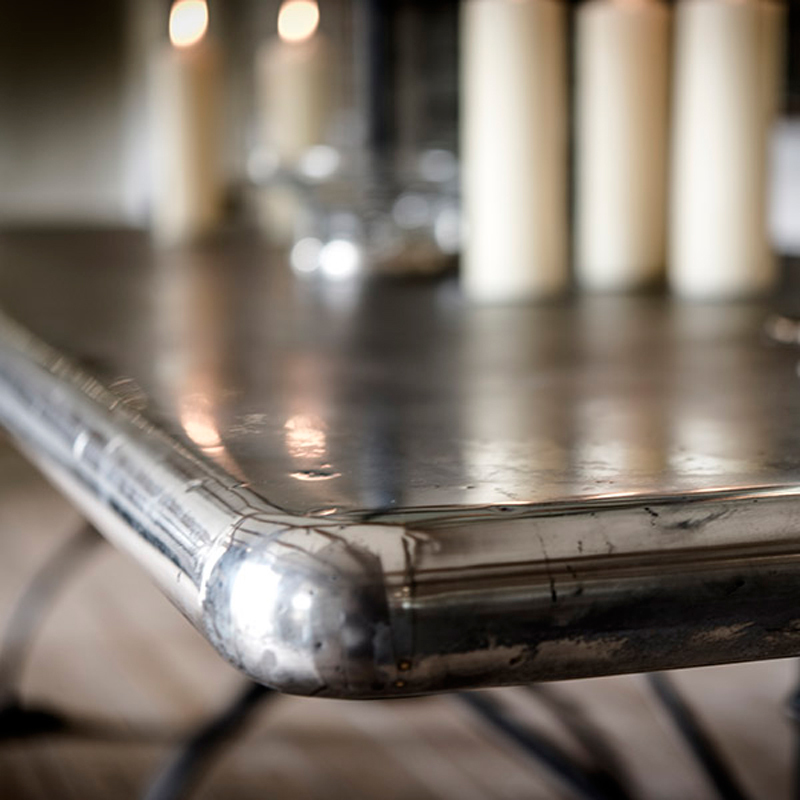 Our bespoke design service ensures all the wants and needs you have for this important purchase are catered for. 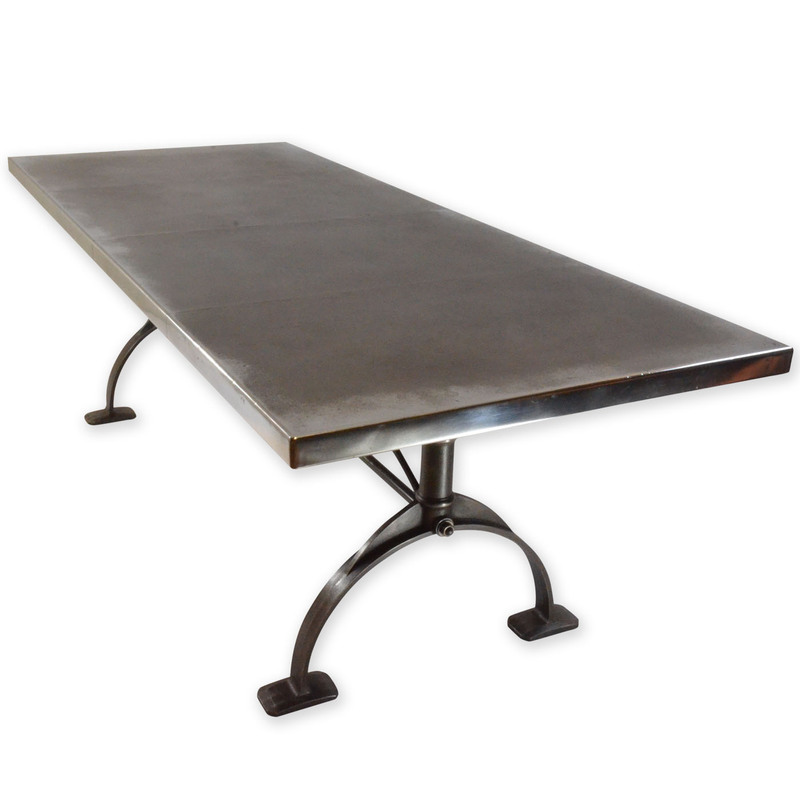 Can’t find the dining table you want in our Ready-to-go designs? 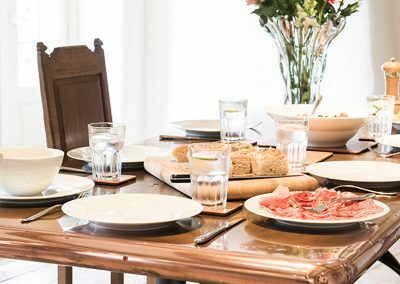 We can produce any type of dining table or kitchen table as per your requirements through our Bespoke custom design service.